My New Year’s resolution was to drink more water. Simple enough and yet, I’d been told, I’d be drastically improving my health. I’ve stuck to it pretty well, filling up my brand new water bottle at each meal and downing it before the next. I can’t say whether I felt healthier, but I certainly thought I must be. Except, it turns out, my hard-plastic, Harvard-branded, BPA-free bottle had been sabotaging me. After the revelation that bisphenol A (BPA) is linked to reproductive problems, obesity, diabetes, and attention-deficit disorder, among other issues, products containing the chemical were swiftly replaced with versions proudly declaring themselves to be “BPA-free.” But that doesn’t necessarily mean safe. BPS, which replaced BPA in the production of the familiar hard polycarbonate plastic of water bottles, has been shown to leach from the containers and holds potential to have similar adverse effects. This isn’t the first time a harmful chemical has been swapped for, well, a harmful chemical. After taking Elsie Sunderland’s Environmental Toxicology class last semester, it seems as if the guiding philosophy to chemical usage is “use now, ask questions later.” When too many workers have gotten sick or the river that runs past a factory grows too polluted, and those questions are eventually asked, it’s not hard to guess what the answer will be. Research often finds—too late—that these chemicals used by industry or in commercial products cause a slew of negative health effects, notably acting as endocrine disruptors or carcinogens. Of course, cancer-causing agents, hormone mimics, and toxic substances aren’t exactly welcomed by consumers. Frequently, though not always, chemicals confirmed as harmful will be phased out. That’s when the cycle begins anew, with a different, untested compound replacing the old. This replacement stands to be just as harmful as the original. 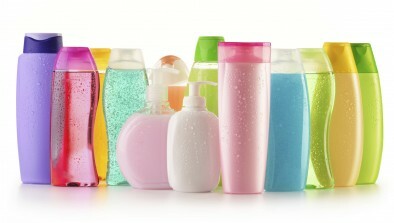 Unfortunately, the products we use daily expose us to a vast array of chemicals. Though we live in an exciting time of rapid innovation and product development, in the flurry of progress, there is often little time left to ensure that these new products (and the 700 new chemicals developed annually) are as safe as possible. Sunderland’s class frequently highlighted that there are about 85,000 chemicals used in everyday products, but less than 40 have legally enforceable standards. ...there are about 85,000 chemicals used in everyday products, but less than 40 have legally enforceable standards. In many European countries, the precautionary principle reigns supreme; meanwhile in the United States, I was shocked to learn, there is generally no need to prove the safety of a chemical before its adoption. The 1976 Toxic Substances Control Act—the preeminent chemical regulation in the US—does not require such measures and, moreover, lacks authority to enforce removal of known chemical hazards from commercial products. Certain chemical flame retardants, formaldehyde, and BPA are all confirmed toxic substances, classic examples referenced time and again in class, yet they remain on the market. The take-away? It’s typically a gamble of what we are getting, and with pretty stacked odds, at that. While the government doesn’t hold much power to change the current climate, purchasers certainly do. It’s pretty easy to end the guessing game, now and going forward. Just stick with what you know—or rather, steer clear of what you know is bad. This course of action doesn’t serve just to protect the health of you and your family. Your purchases tell companies what the people want and don’t want. It was “public outcry” that resulted in the rapid shift away from BPA in plastics. By making chemical-free choices, it can help to remove hazardous materials from the market. Put simply, don’t replace BPA, replace your plastic water bottle. I’m now the proud owner of a stainless steel water bottle, and my New Year’s resolution is still going strong. Below are other tips to rid your routine of known harmful substances by exchanging them for chemical-free options. Where some companies switched to BPS in their polycarbonate plastic, others made use of different plastics that contain other toxic chemicals. Those familiar numbers within the chasing arrows on the bottom of your milk jug and containers are good indicators of what’s in a material—opt against plastic resins coded 3, 6, and 7, as well as plastics that contain harmful phthalates. (Polycarbonate water bottles are code 7). Glass, aluminum, and stainless steel are all naturally chemical free and are great alternatives for staying hydrated and truly healthy. Glass, aluminum, and stainless steel are all naturally chemical free and are great alternatives for staying hydrated and truly healthy. When cooking, be careful with Teflon and non-stick pans. If they are overheated—above 500 degrees Fahrenheit—toxic chemicals can be released as the non-stick coating begins to break down. Toxic perfluorinated compounds are more easily emitted if that coating is scratched or worn down, so be sure to frequently replace aging or damaged cookware. BPA is also used to line the inside of metal cans to strengthen them and prevent food contamination. Especially if the cans hold acidic foods, like tomatoes and soda, BPA holds the potential to leach into the contents. If you’d prefer to leave BPA out of your meal, opt for purchases in glass or paper containers. Bottled beverages, boxed soup and broth, and frozen vegetables are all great choices! In my upcoming piece, I will explore materials used in personal care products. Solutions to these problems are similarly simple but hinge upon awareness. With knowledge comes the potential for public dialogues and change, as with the movement away from BPA.